You’ve heard this constant refrain from your dentist: “Remember to floss your teeth”. Our advice is based on scientific fact: bacterial plaque causes gum disease and tooth decay, the two most common diseases in the world. Have you ever wondered why your gums bleed, especially when you haven’t had a scaling in a long while or have been so busy that you’ve neglected regular brushing and flossing? Bacterial plaque, left undisturbed along the margins between teeth and gums, causes inflammation in the gums. Evidence of long term inflammation are swollen gums that bleed easily. Then there are areas of food trap, especially between back teeth. When these bits of food are not removed, bacteria feed on them, releasing acids and causing tooth decay. So how do we remove all that harmful plaque? Brushing works well on exposed tooth surfaces. To get rid of plaque and food debris between teeth, we need a floss. If gum disease has already left gaps between teeth, then special interdental brushes are also recommended. I read with alarm the article published in the online version of a reputable magazine: they quoted dental professionals saying that we could be wasting our time flossing teeth! Hmmm…..These publications depend on alarmist or provocative news to increase “eyeballs” and distribution, right? Why then does the majority of gum disease and tooth decay occur between teeth, just below the contact points of adjacent teeth? No matter what the “scientific citations” highlighted by this magazine are, I can say with conviction after 23 years as a dentist, (of which 21 years have been dedicated to the struggle against Periodontal Disease) that flossing to get rid of plaque between teeth does a world of good for my patients. Naturally, I don’t just “throw” a pack of floss at my patients and tell them work on it at home. My methods of “oral hygiene instruction” are customised to the needs of each individual. It’s what I call “hand-holding”: show them how to do it in their own mouths; reinforce regularly until they get it. That article even said that “interdental brushes might be irritating to the gums”. Sure, if you don’t know where to use them and go poking between every tooth. Not so for my patients. If I have treated the gum disease and note that some areas between teeth that have lost bone, then the exposed surfaces of these teeth may be too great for a floss to be efficient. That’s when the interdental brushes come in useful. Once again, it’s customised instruction. So don’t drift along with popular sentiment. See the dental professional regularly for treatment and hopefully, customised advice. 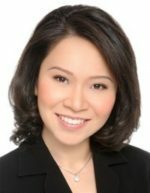 Dr Helena Lee is a Dental Specialist in Periodontics with Specialist Dental Group®, Singapore. She is also an Adjunct Lecturer with the National University of Singapore. Dr Lee has a special interest in dental implants, gingival plastic surgery, and tissue grafting.